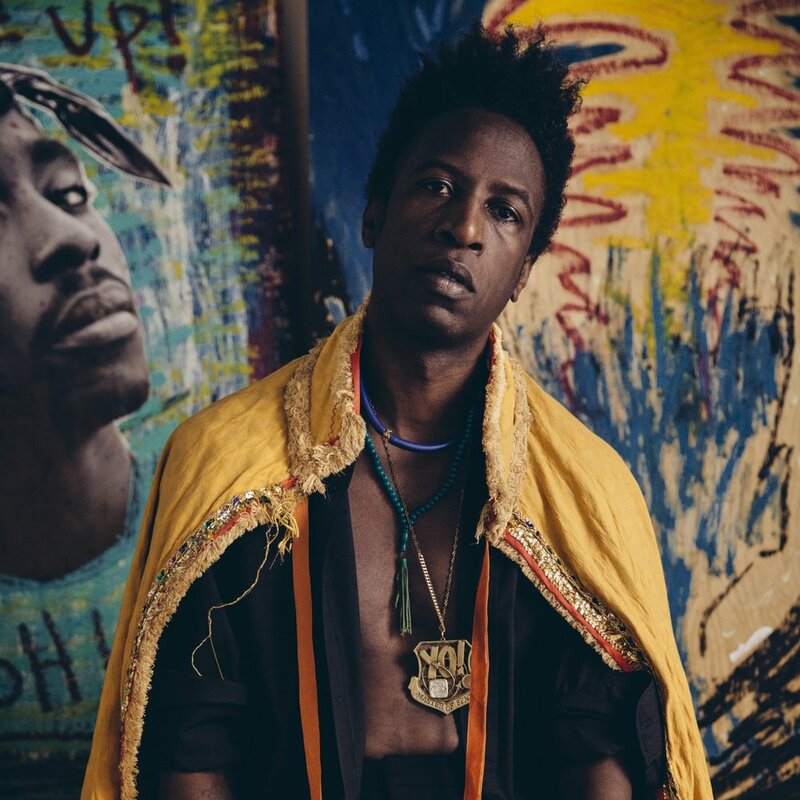 Saul Williams has been breaking ground since his debut album, Amethyst Rock Star, was released in 2001 and executive produced by Rick Rubin. After gaining global fame for his poetry and writings at the turn of the century, Williams has performed in over 30 countries and read in over 300 universities, with invitations from the White House, the Sydney Opera House, Lincoln Center, the Louvre, the Getty Center, Queen Elizabeth Hall, and countless, villages, townships, community centres, and prisons across the world. No stranger to collaborating, the Newburgh, New York native has gone on to record with Nine Inch Nails, Allen Ginsberg, Janelle Monae, Will Oldham, and countless others. Saul was the lead actor in Holler If Ya Hear Me, the 2014 Tupac Shakur–inspired Broadway musical, and has made countless film and television appearances. In 1998 he won Sundance’s Grand Jury Prize and Cannes Film Festival’s Camera d’Or for Slam. He has toured with Rage Against the Machine, Nine Inch Nails, Nas, The Mars Volta, System of a Down, Les Claypool, My Morning Jacket, Gil Scott Heron, De La Soul, and more.